This new documentary from David Alvarado and Jason Sussberg tackles one of the most fascinating subjects a nonfiction film could possibly cover: it is about scientists on the hunt for a cure for aging. In other words, the subjects of this film are trying to make natural death a thing of the past. What makes the film even more special and memorable is the fact that it is just as interested in these scientists as people, giving equal time to both their extremely compelling goals and their personal biographies. In investigating the reasons for their obsessions, the film tells us a great deal about these people, as well as about ourselves. 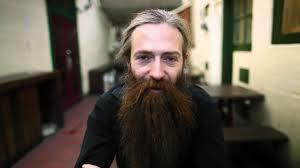 British scientist Aubrey de Grey is the star of the show. Sporting long hair and a beard that would make both Alan Moore and Rasputin a bit jealous, de Grey is a hard-drinking, larger-than-life figure who maintains relationships with three different women: his wife, 20 years older than him; another woman around his own age whom we never see; and a third woman 25 years younger than him, to whom we are introduced later in the film. The more sober and apparently credible of the two figures is Bill Andrews, a health nut who runs insane marathons in his spare time. He and de Grey have an amicably competitive relationship as they pursue the same goal. One of the film’s strengths is the way it makes the complex science behind anti-aging accessible to the layperson. 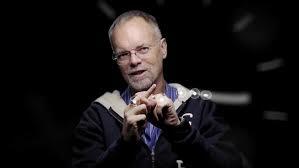 In one particularly lucid passage, Andrews explains the enzyme telomerase as being like the plastic tips on the ends of shoelaces (telomeres, the cellular structures that protect chromosomes from deterioration), which keep these “shoelaces” from unraveling. Andrews believes that if the production of telomerase can be chemically regulated, it can actually reverse the effects of aging and prolong human life indefinitely. De Grey has other theories about how this goal can be achieved, and of course there are those who believe it cannot, or even should not, be achieved. The question of overpopulation is raised, and de Grey’s response is that we simply don’t know what a future without natural death would be like, and that we shouldn’t stop trying just because it might cause other problems. His enthusiasm is infectious, and it’s hard not to root for him and Andrews, not only for the astounding potential impact of their research, but also because we grow to love them as people. The Immortalists is my favorite kind of documentary, one that explores the lives and minds of fascinating eccentrics, as Werner Herzog did with Grizzly Man, or Errol Morris with Tabloid. Cinematographer and co-director Alvarado finds some gorgeous images, especially in de Grey’s native London, and even the “talking heads” segments of the film are never less than interesting. This is one of those rare films that I honestly believe every human being should see. What a tender and meaningful review. Although some comments remain. The end was quite poignant.